The books I can’t stop recommending. Ever since Oyster launched their subscription-based reading app, which they winningly describe as “Netflix for books,” back in 2013, I’ve been meaning to give it a try. (And you’ve been asking for my thoughts—sorry to keep you waiting!) It’s all you can read, for $9.95 per month: subscribers gain instant access to over a million books in every genre from classics to new releases. Right now, Oyster has agreements with three of the Big 5 publishing houses (Simon & Schuster, HarperCollins, and Macmillan). They just added Pottermore, which means you can read the 7 Harry Potter books and the 3 Hogwarts library books with the app. I signed up for a free trial a few weeks ago and was genuinely impressed with what I found. If you know what you’re looking for, the search feature is easy to use. 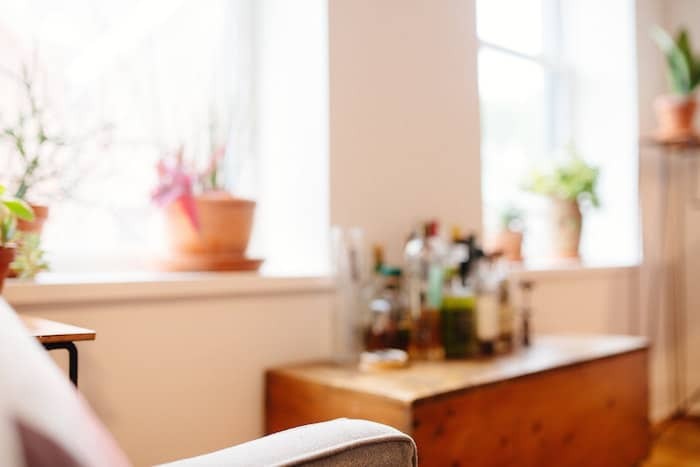 If you don’t know what you want to read, start with these popular titles, explore by genre, get personalized recommendations, or view curated lists. You can also curate your own lists. I tried out that feature by curating two of my own: Books I’m Dying to Read and Modern Mrs Darcy Recommends. For a subscription service, what I really care about is the selection. I put the app to the test by searching the app for my past and current favorites—the ones I find myself recommending all the time. 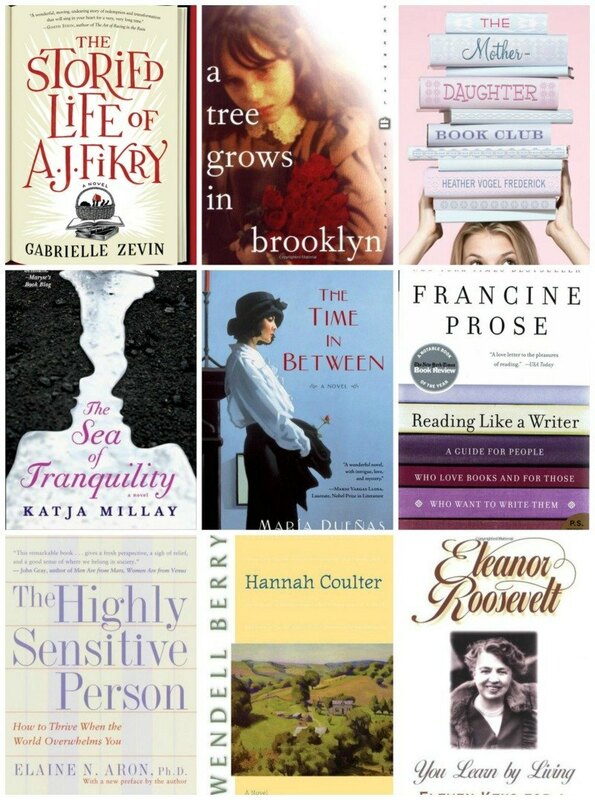 I adore these 9 books, but I easily could have listed 90 from the app. Want to try it for yourself? Get your first thirty days for free by signing up here. This post is sponsored by Oyster. Thank you so for supporting the brands that support MMD. 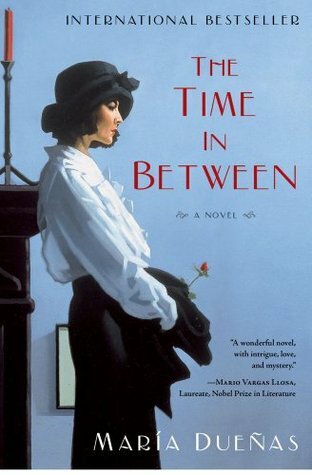 I’d love to hear about the books YOU can’t stop recommending and/or your experiences with Oyster in comments. 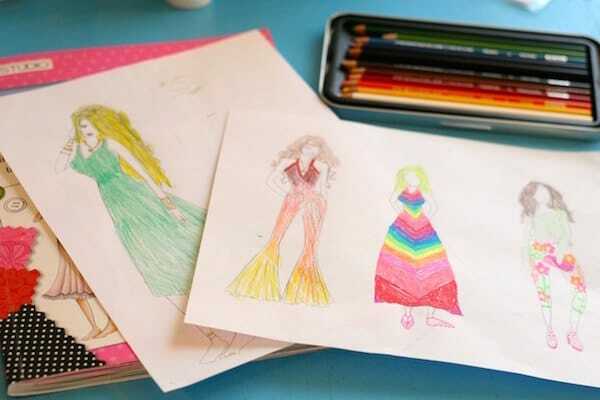 Previous: The spiritual discipline of Project Runway. 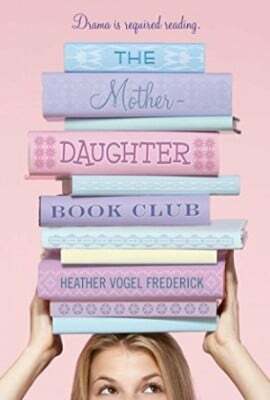 I wanted to ask you if you think “The Mother Daughter Book Club” is a good read for a European girl that has been learning English in school for few years ? I’m looking for a good book in English for my Daughter to read. 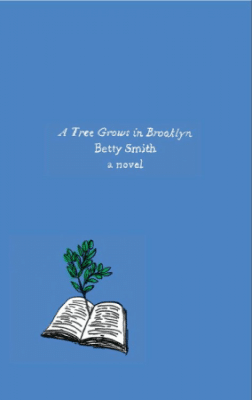 LOVE A Tree Grows in Brooklyn! My teacher in 7th grade gave me a copy and it has been cherished and my worn-out copy still resides on my bookshelf. A Tree Grows in Brooklyn is my favorite novel of all time. I’ve read it so many times I have parts of it memorized. I agree about a tree grows in brooklyn. One of my favorites of all time! 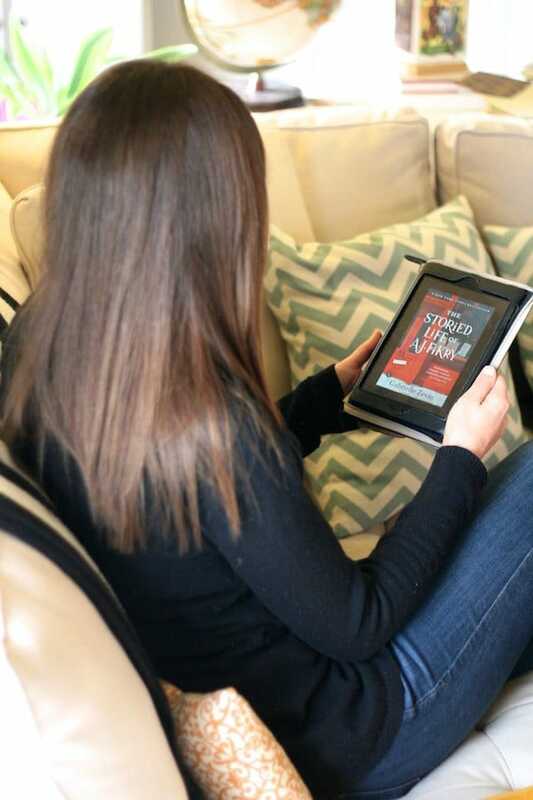 Have you tried scribd? I would love your opinion of oyster vs. scribd. There are three month trial links for scribd around the internet. Scribd also has audio books does oyster? I haven’t tried Scribd yet. Thanks for the tip. 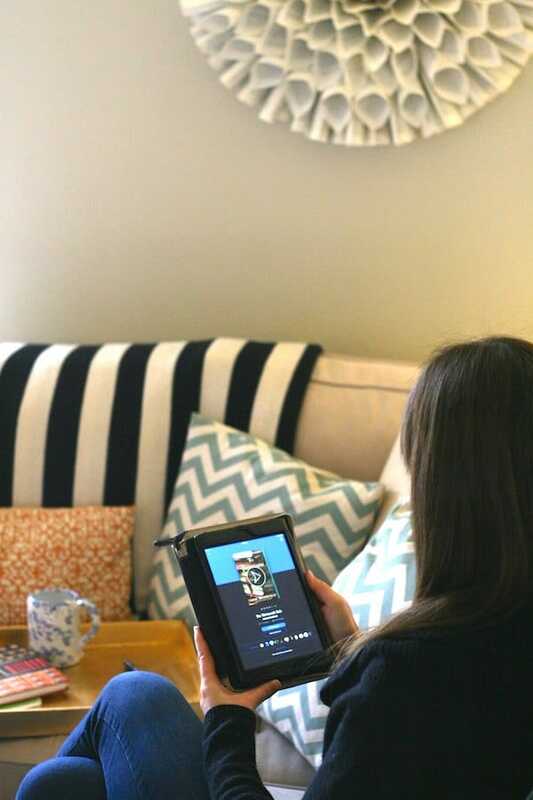 And as of right now, Oyster says they have no plans to expand into audiobooks. I like Scribd better because they also offer audiobooks. They also have all of Jim Weiss’s audio dramas (40+) which are awesome for kids if you have any. I was just about to buy some when they added them on. I adore Scribd and I don’t know how I ever existed without it. I’ve been using Oyster for about 6 months now. I absolutely love it! I have it on everything, even my desktop at work for those days when we are not busy. It is well worth $9.95 a month. If I had paid for every book I’ve read on there so far, I would have already spent hundreds of dollars. Thanks for some of the recommendations, I’ll be adding these to my TBR list as well. The Secret Garden (Burnett), Little Women (Alcott), Charlotte’s Web (White), Watership Down (Adams), To Kill a mockingbird (Lee), Dangerous Island (Mindlin), The Three Musketeers (Dumas), Rebecca (Du Maurier), Dracula (Stoker), The Haunting of Hill House (Jackson), Dragonfly (Durbin), The Woman in White (Collins), Jane Eyre (Brontë), North and South (Gaskell), Pride and Prejudice (Austen), Lord of the Rings/Hobbit (Tolkien), The Chronicles of Narnia (Lewis), Babette’s Feast (Dinesen), My Name is Asher Lev (Potok), Man’s Search For Meaning (Frankel), Ender’s Game (Card). I don’t typically like scary books, but in October I love to read something slightly unhinging like, Irving’s Legend of Sleepy Hollow. Along with my faves I threw in my October re-reads since I return to them every year. Those are great ones! I still need to read North and South (I know! I’ve seen the movie, at least 😉 ) and Ender’s Game. I hope you get a chance to read it someday. I love the movie too (how can you go wrong with Richard Armitage?) but the Margaret Hale from Gaskell’s pages is my favorite heroine of any book. I love Ender’s Game! 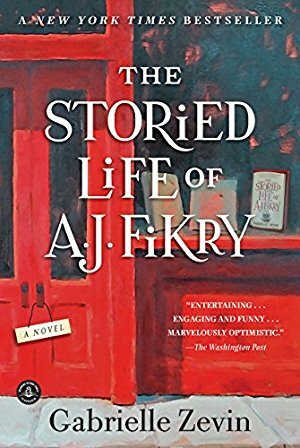 Finally got around to reading it the summer before last and it was definitely one of those “Why did I wait so long?” books. Trish – I just had to give you a shout-out because we have the same name, and VERY similar taste in books. If I made a list of the books I recommend, 85% of them would be the same as yours 🙂 So, I am adding Watership Down, Dangerous Island, and Dragonfly to my TBR list 🙂 Thanks! Hello Tricia, I would love to know the other 15% of your list to pick up some new reads myself. I hope you like the books from mine. Dangerous Island is a magical book but really hard to find. 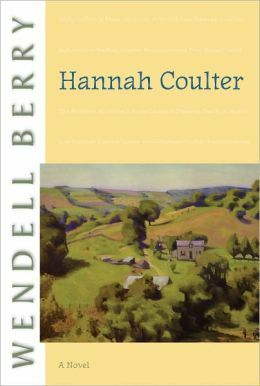 I read it when I was about ten and read it as an adult to my daughter and loved it just as much. p.s. save Dragonfly to read in October. So good. “The Merry Wives of Windsor,” by the way. Aww, I haven’t read Watership Down for at least a decade but it is so good. So many I can’t stop remembering! 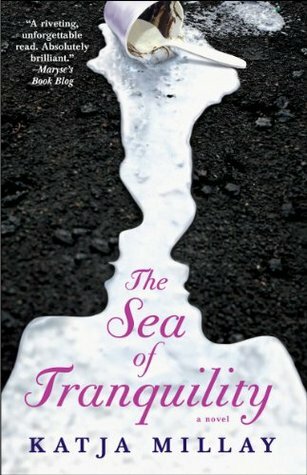 Oh, The Sea of Tranquility. This book’s popularity mystifies me! Such. a. slow. moving. contrived. plot. Which doesn’t usually bother me too much if there is quality writing & engaging characters — neither of which I could find in TSOT. So many unsympathetic characters, so many cliches! It all felt very amateur & like it could have benefited from a thorough edit (and maybe lose about 150 pages). I’m curious: what did you love so much about it? 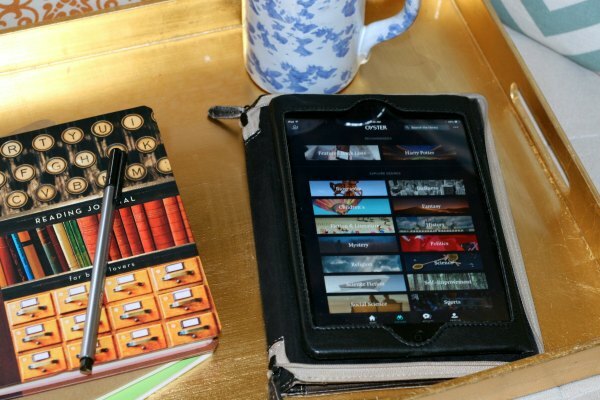 What I really want to know is: Can I read the books on a regular ol’ kindle? Is it like the library with a waiting list? Is there a specific number of books one can read at a time? Is there a multi-user thing so one app will work for the several readers in my family? Are there good children’s books on there for beginning/freshly enjoying readers? I’m off to review the website. Will you keep using it? 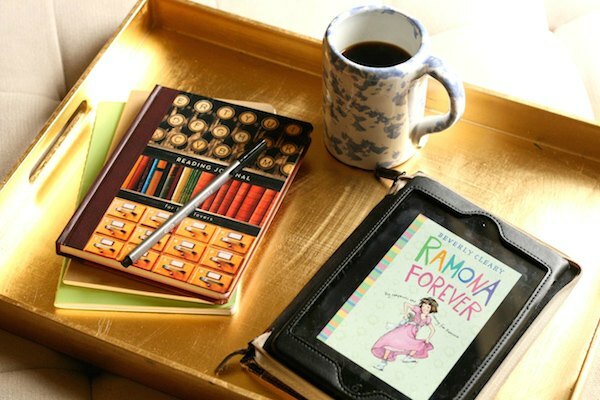 You can read the books on any device that uses apps. (So, not on my Kindle Touch.) There are no waiting lists. I don’t believe there’s a limit on how many books you can read at a time. If there is, it’s really high, because I have 14 on my iPad right now. There is not a multi-user thing, but as long as your family’s readers are not trying to read the same book at the same time, you should be fine. (Keeping your place would be a problem if you were reading the same book at the same time.) Your personalized recommendations wouldn’t be as accurate, but I could live with that to keep from paying for multiple accounts. 🙂 You can access up to 6 devices for one Oyster account. There ARE good children’s books. (Beverly Cleary, Maud Hart Lovelace, Eleanor Estes, Lois Lenski, Gary Schmidt, to name a few, although a few of those aren’t exactly beginning reader books.) I’ll keep using it. Thanks for those answers. Some of those authors will be just the ticket soon without support and with support now. My husband is an avid Si-fi reader (I do not understand this, but alas) so I’ve got the oyster website pulled up to see if he can also find good things to read on there. Thanks for taking the time to post and for answering my questions! Those are my top 10 best books ever….. There are some news ones for me on here! I’m glad to see Ursula Under because it’s on my current priority reading list. Ursula Under is amazing. I loaned my copy out and did not get it back for 2 years. I want to read it again, now that it has wandered back home! They are working on extending to other regions though, so hopefully sometime in the future! There seems to be some great titles that are not at my library (I’m in New Zealand). I was just curious to know if there is a website that reviews books( like http://www.pluggedin.com/ )does for movies and such. I don’t always get a chance to read books my children are interested in reading to see if there is any content I don’t want them to be reading about. 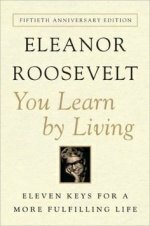 Are the books you recommend “clean” books? Common Sense Media has book reviews. 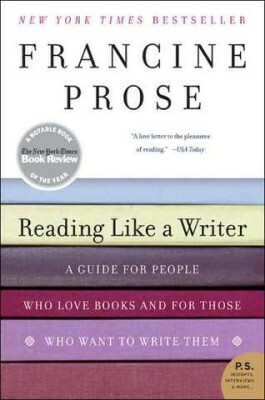 I also loved Francine Prose’s ‘Reading Like a Writer.’ I have read a lot of craft books (and intend to read more) but there was something about the way she breaks down great writing, strips the meat off the bones, that I found truly helpful. I’m using her reading list at the back of the book for this year. I’m a slow reader, so it’ll take me *more* than a year, I know, but it’s something to shoot for. Anne, thanks to you, my “to be read” list is always growing. I can’t tell you enough how much I love your blog. Some of the books I most often recommend are Unbroken, Love in the Time of Cholera, The Lovely Bones, The Shack, The God of Small Things,and the Harry Potter series. I have been using Scribd for the last 3 months. I like it because it has books that I can’t get at my library. There are also books that I never heard of that sound good to read. I got a half off a year subscription price so, I only paid $50. For a whole year. This is so very interesting. I remember reading that you didn’t recommend Kindle Unlimited due to not having many books that you would want to read, so interesting about Oyster. I kind of balk at paying a monthly fee, but let’s be honest, I spend way more than that every month on books 🙂 Very interesting! Where do you get your reading Journal?? Mine is from PotterStyle. Details are here. The book I keep recommending is “Bad Feminist” by Roxanne Gay. This is a collection of Gay’s essays and I could not put it down. Her essay of Sweet Valley High was one of my favorites. I love Oyster, but recently switched over to Scribd. It was primarily due to the availability of audio books. (gasp). I know, I know – but they are great to listen to on my long commute to and from work. An essay on Sweet Valley High? 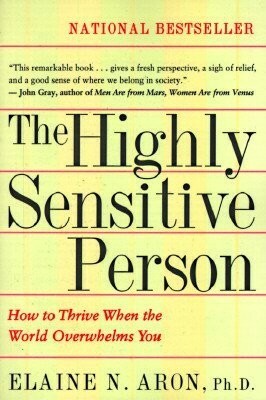 I need to read that! Ah, this sounds *much* better than Kindle Unlimited. Thanks for the review, Anne! I just unsubscribed from Kindle Unlimited to subscribe to Oyster. I’m really, really impressed with the children’s book selection. My 9 year old was THRILLED to see all of the Margaret Peterson Haddix books and I loved seeing really great children’s authors profiled as well. Kindle Unlimited children’s selection is pretty junky, so I really hope that this will save us some money since we are constantly paying library fines! However, my people like “real” books so this may not be the entire answer…Thanks Anne! I’m so glad it’s working for you. And I’ve never heard of Margaret Peterson Haddix—off to check her out! 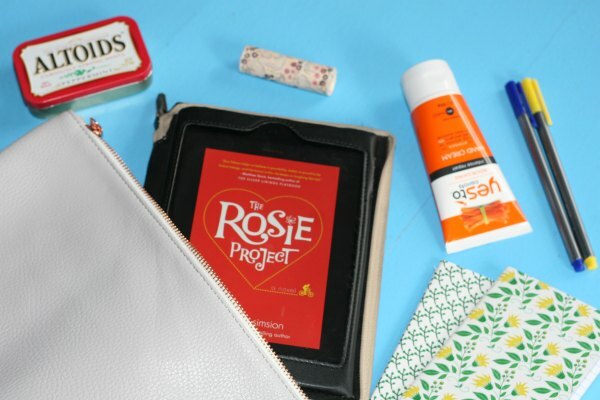 The only thing I could think when reading this post was, “You have good hair.” I’m assuming that’s a picture of you reading on your Kindle…. I have a number of these books on my TBR list. Do you know of a good biography on Mary Todd Lincoln? I am reading Team of Rivals right now and want to read a biography of her life when I am finished. I don’t off the top of my head, but I’d be very interested in reading one. Oh boy! I just found your site and am thrilled to get reading these books. I hate it when I finish an amazing book and am worried about reading another because it won’t measure up to what I just finished. Have you read Elizabeth Goudge at all? I like her YA fiction best, like the Little White Horse.